SEE VIRTUAL 3D Tour! 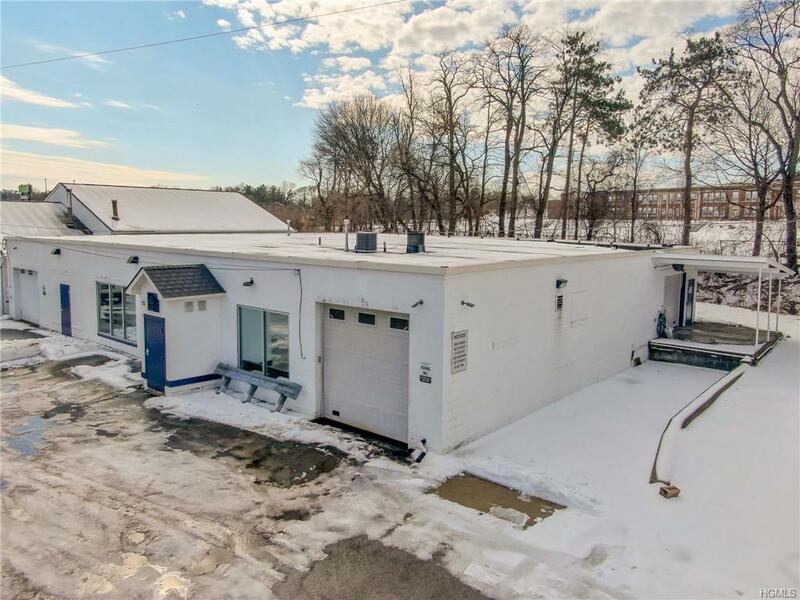 Retail/Commercial/Warehouse Multi-use space, 6700 sqft, in a B-SC zoned shopping center business district in Town of Poughkeepsie. Concrete block constructed, single-story building on .45 acre cul-de-sac & located on Twn/City Poughkeepsie line. 5500 sqft Warehouse/Shop space with 3 new 10'x12' commercial overhead doors, 2 front open into garage bays 14' ceilings. 3rd bay access from a grade level tractor trailer roofed loading dock on side of building. 1,200 sqft office space is updated. reception station, conference room, 2 private offices, 1 full bath, 1 half bath & file/office equipment area. Interior & exterior video monitoring security system plus privacy glass across front. 2 new high efficiency gas central air units, new electrical 220 amp 3 phase wiring, rubber roof & LED exterior lighting. Yard in back & paved parking area. Lots of space. Septic system, municipal water & natural gas. Listing courtesy of Kimberly Cannizzaro of Cannizzaro Real Estate Center.